July 8, 2011 by Ken Ward Jr. I was starting to think that maybe my good friend Sen. Joe Manchin was on vacation … I mean, hours and hours went by after the U.S. Environmental Protection Agency announced its final rules to combat cross-state air pollution, and Sen. Manchin hadn’t issued a news release yet. 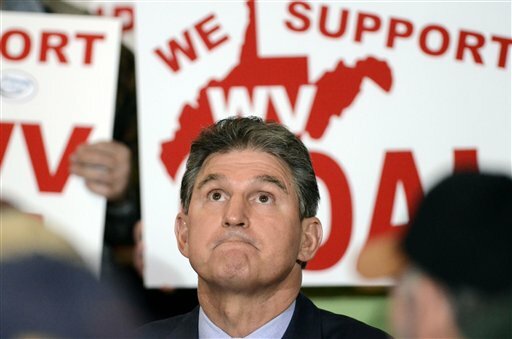 “The continued jobs-destroying overreach of the EPA is outrageous, and it’s incomprehensible that in these difficult economic times, the Administration would be so callous as to arbitrarily impose onerous rules that they know will cost countless American jobs and raise the daily costs of life for so many struggling families,” Senator Manchin said. “Once again, the EPA is taking aim at the coal industry, small businesses and the hardworking families who help power and build this nation. Sen. Manchin never fails to disappoint … but come on now. Arbitrarily impose onerous rules? EPA can’t regulate what hasn’t been legislated? I wonder if Sen. Manchin doesn’t need to get some better staff work done, or if he’s just trying to misstate things in his zeal to show his allegiance to the coal industry. Maybe Sen. Manchin disagrees with EPA’s rationale for this final rule. But he doesn’t offer one bit of evidence to support his allegation that it’s being arbitrarily imposed. EPA officials outlined their reasoning pretty clearly right here on the agency’s website. And trying to regulate what hasn’t been legislated? Seriously? Perhaps Sen. Manchin needs to go back and actually read the Clean Air Act. Congress already gave EPA authority under the Clean Air Act’s “good neighbor” provision to to cut down interstate pollution that interferes with the attainment and maintenance of the national ambient air quality standards protecting public health. That’s in section 110(a)(2)(D)(i)(I) of the law, Senator. It’s one thing if Sen. Manchin wants to discuss or disagree with the actual way in which EPA is writing these rules, but he’s not doing that — he’s making incorrect statements about what authority EPA has and doesn’t have under laws already passed by Congress. And that leads me to EPA, and that agency’s administrator, Lisa P. Jackson. While reading Sen. Manchin’s statement, I couldn’t help but think about the brief discussion I had with Administrator Jackson earlier yesterday during a press conference call about those EPA air pollution rules. Now wait a second, I thought … “another community’s polluters“? Now, in this case, that means at least partly all of the coal-fired power plants that line the Ohio River Valley … in places like Moundsville and New Haven in West Virginia. Missing from EPA’s statement was any recognition that those power plants aren’t there just so that the evil coal companies and utilities and arbitrarily send pollution over to big cities or suburbs on the East Coast. Those power plants are there to give those city folks electricity to run their iPhones and their air conditioners. So it seemed to me that the folks enjoying the benefits of that “cheap electricity” from coal aren’t exactly powerless to do anything about the pollution that drifts their way from the coalfields. One thing they could do, for example, is to demand from that their political leaders push for other, cleaner forms of energy. Of course, some folks in those communities are doing that. And Lisa P. Jackson is a smart, educated and very capable woman. So it surprised me when she repeated almost that same statement from EPA’s press release in her conference call with the media. I perhaps foolishly assumed that Administrator Jackson understood the connection between coal-fired power plant pollution and the “cheap electricity” she and her neighbors to our east take advantage of every day. … As you know a lot of this pollution that this rule is aimed at is produced generating electricity and other goods and services for people who don’t live where the pollution is actually produced. And I’m wondering what your agency is doing to follow up on its promise that it would work with areas like the coalfields of Appalachian to provide alternative economies and alternative jobs to replace those that might be impacted by these sorts of rules. Just to clarify for everybody … this is a rule that talks about upwind and downwind air pollution. So it’s actually sort of the opposite of what you asked, with respect to air, what we’re trying to do is ensure is that someone who is generating pollution upwind isn’t causing a place downwind to be out of attainment for ozone or SO2, and therefore making people unhealthy in a state that has no ability through their permit process to do anything about it. Now, there are other forms of local pollution, and since I know your issues are … you know, water pollution, or land pollution from waste disposal, those are being addressed separately. 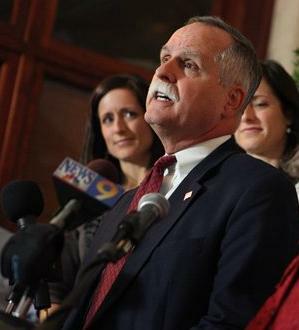 Actually, Administrator Jackson, if your staff ever show you a copy of Coal Tattoo or of the Gazette, you’ll see we are concerned about quite a lot of issues about the coal industry … We’ve covered your agency’s efforts regarding greenhouse gas emissions and the recent proposal to for the first time regulate air toxics from coal-fired power plants. And we understand what you’re up to with the Cross-State Air Pollution Rule. But it’s also clear from statements put out by folks like Sen. Manchin that your agency has a tough fight on its hands from the coal industry’s powerful political friends. And the folks who work at coal mines and power plants in places like Mingo and Mason counties in West Virginia have a right to straight talk from you and others in the Obama administration about how cleaning up coal pollution will affect their lives, including their jobs. We’ve tried on this blog and in our newspaper to explain to readers in West Virginia the downside of coal, and all of the ways that EPA’s regulatory proposals might help to curb the negative impacts of this industry. Sure, that promise was made in the context of EPA’s announced crackdown on mountaintop removal permits. But it clearly is a commitment that must go beyond that, to helping communities — places that helped for generations to make our country strong — that are likely to see job losses from new air pollution, water pollution and greenhouse gas limits on coal. These aren’t separate issues. They’re all connected, and I’m sure that Lisa Jackson knows and understands that. In terms of what the administration is doing to try to help communities justly transition to cleaner forms of energy, I can just repeat the fact that this administration, this president has from the beginning said that there is great opportunity in greener, cleaner forms of energy. It’s better for our health, it’s better for our security, it’s better for our environment. He has shepherded and stewarded everything form the recovery act which had tens of billions of dollars in investment in cleaner form of energy, including a carbon capture and storage project right in West Virginia at, I think it’s an AEP plant, Mountaineer. So you know, whether it’s the American Recovery and Reinvestment Act, whether it’s been work through our clean water programs to help communities finance and deal with water pollution, whether it’s working with labor unions and others, boilermakers and others who will get work when plants have to control their pollution and do it here in America. I think this administration has policies that make good on what we’ve all talked about, which is we should invest in our energy infrastructure just like we invest in our other infrastructure. It makes our country cleaner, it makes our economy stronger, and it makes our people healthier, and as you can see from these estimates, we’re not talking about small amounts of health improvements. We’re talking about saving lives, and literally changing people’s ability to enjoy the life they have. But you’ll notice that the one West Virginia example she mentioned is one in which the work is meant to help keep the coal industry viable in a carbon-constrained world — not one aimed at helping transition folks who might lose coal-based jobs into something else with more of a future. It’s been two years since the crackdown on mountaintop removal was announced. We’re half-way through the third year of President Obama’s term. 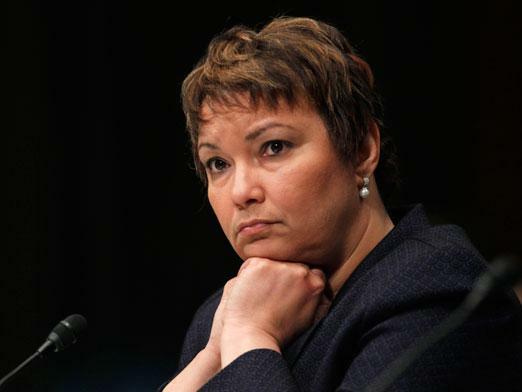 Perhaps it’s time for someone like Lisa Jackson to visit West Virginia, and tell us more about exactly how the coalfields can join in the clean, green energy future she keeps talking about. June 7, 2011 by Ken Ward Jr. The Kentucky coal industry’s compliance with U.S. surface mining regulations dropped sharply from 2008 to 2010, while the environmental impact of the violations has worsened, federal records show. 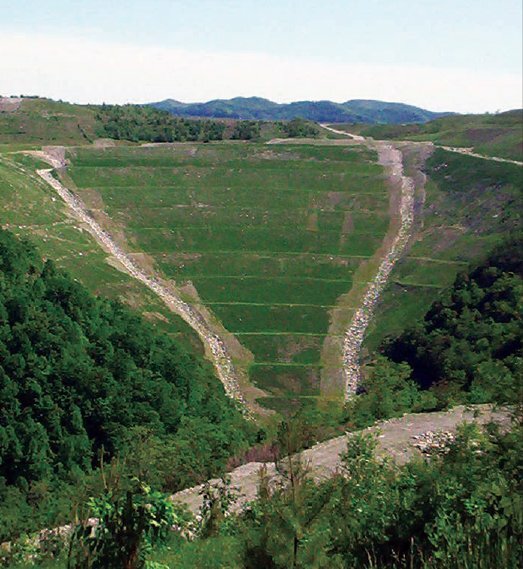 A U.S. Office of Surface Mining Reclamation and Enforcement report analyzing state enforcement of the federal surface mining and reclamation law shows the industry’s compliance rate in Kentucky dropped from 87 percent of surveyed mining sites in 2007 and 2008 to 65 percent in 2010. For EY 2010, OSM found that 211 of the 325 (65 percent) mine sites in Kentucky were in full compliance with all performance standard categories. 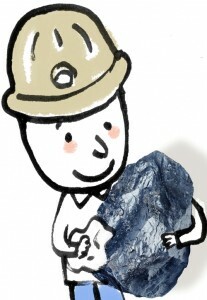 Key among the Schmid & Company findings is the disproportionately large number of damaging impacts from the longwall mining method compared to the room-and-pillar technique. 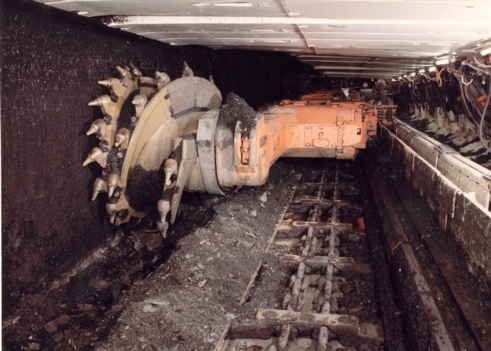 Longwall mining removes far more coal than the room-and-pillar method and causes intentional surface subsidence. The DEP’s review indicates that 38,256 acres were newly-undermined in Pennsylvania between 2003 and 2008. But although the longwall and room-and-pillar mining methods each undermined approximately the same number of acres, properties and structures, longwall mining was responsible for almost all of the damage. March 16, 2011 by Ken Ward Jr.
Testimony began yesterday in a civil lawsuit that alleges hundreds or Raleigh County children should get medical monitoring to determine if they’ve been made sick by exposure to coal dust from the Massey Energy coal loading and storage operation adjacent to Marsh Fork Elementary School. 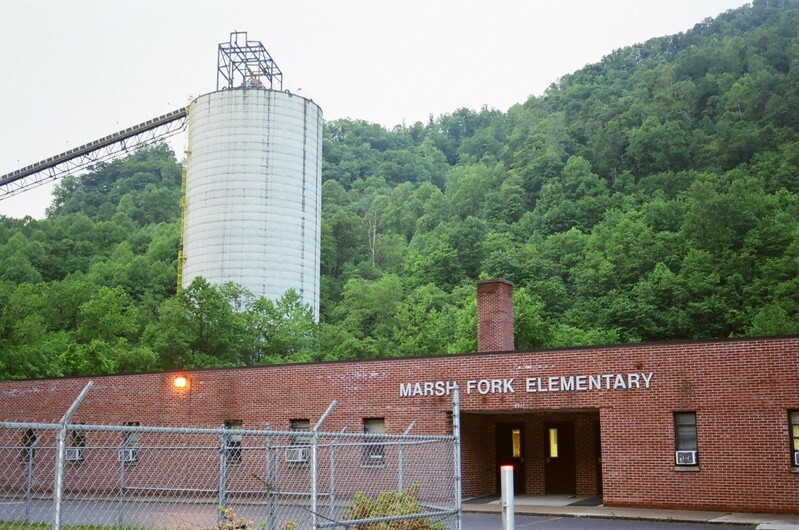 A jury of seven women heard opening statements from lawyers who brought the class-action lawsuit on behalf of an unknown number of current and former pupils at Marsh Fork Elementary against Richmond, Va.-based Massey and several subsidiaries. 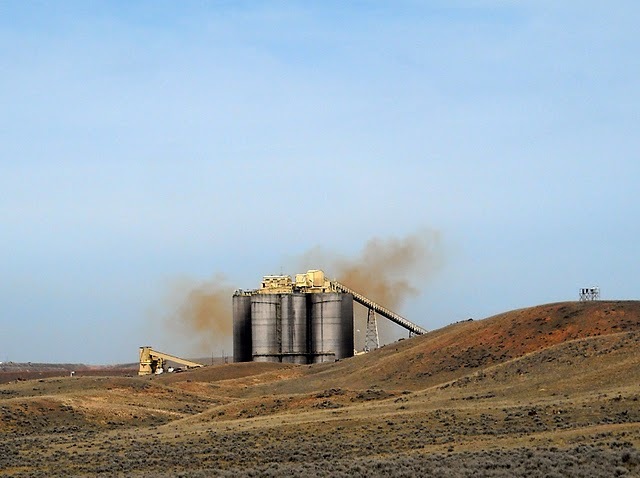 The plaintiffs claim Massey improperly built the silo 235 feet from the school, which allowed dangerous levels of coal dust to enter the building and put children at risk of black lung disease and asthma. March 14, 2011 by Ken Ward Jr.
Federal and state regulators will announce in a few hours that they’ve reached an agreement for CONSOL Energy to pay $5.5 million in civil penalties for pollution violations related to the huge fish kill in the fall of 2009 in Dunkard Creek along the West Virginia-Pennsylvania border. A press conference is scheduled for 1:30 p.m. at Mason-Dixon Historical Park outside Morgantown. But federal government lawyers just a few moments ago filed in U.S. District Court in Clarksburg this complaint against CONSOL and this consent decree to resolve that lawsuit. The settlement also describes requirements for CONSOL to complete a new, $200 million water treatment system to better control pollution discharges from its active and former mining operations in the area. 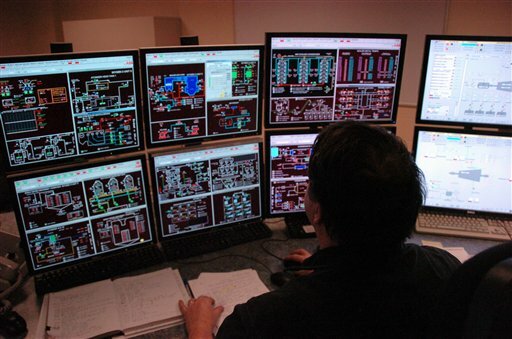 Working with the regulatory authorities, CONSOL Energy was able to outline an efficient, flexible path forward to implement additional clean technologies and best practices at its operations. The agreement will allow CONSOL Energy to treat mine water discharges from four mines on the order of 3,500 gallons per minute, removing 95-98 percent of the pollutants through the use of a state of the art centralized Reverse Osmosis/Zero Liquid Discharge (RO/ZLD) facility. 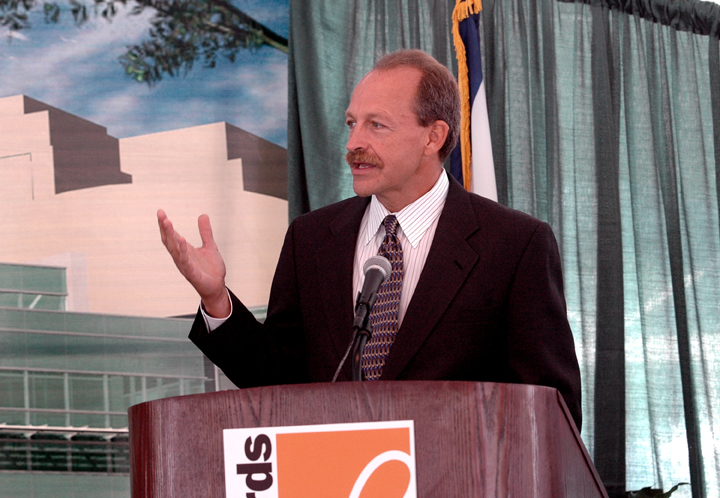 CONSOL Energy is making an investment of $200 million as part of this commitment. This facility, together with a similar $100 million water treatment facility that CONSOL Energy is currently in the process of commissioning at its Buchanan Mine in Virginia, puts the company at the forefront of environmental stewardship. February 21, 2011 by Ken Ward Jr.
Studies about the costs and benefits of coal are always a topic that generates heated discussion here on Coal Tattoo (see here, here and here). But understanding these costs and benefits is increasingly important, and whether any one particular study is perfect is less important than the fact the we’re all asking these questions and seeking good answers. The study starts with the notion that some serious environmental and public health problems related to contaminated water and poor sanitation improve with access to a reliable energy source. And, access to electricity also reduces in-home burning of inefficient and polluting fuels such as coal, wood and animal dung. 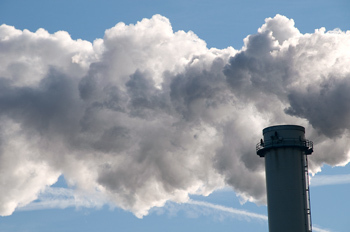 But, depending on how electricity is generated, new health hazards can be created, including exposure to particular matter, sulfur oxides, nitrous oxides, volatile organic compounds, and carbon monoxide emitted during power generation. In this study, researchers used models to examine 40 years of data on infant mortality, life expectancy, electricity use, and coal consumption in 41 countries. They found that electricity use improved infant mortality rates, but only in countries where rates were relatively high in 1965. Also, life expectancy did not appear to be affected by electricity use, but increasing coal consumption was associated with reduced life expectancy and increased infant mortality. As we negotiate energy and climate policy, teasing apart the complex relationships between energy consumption and health will help us to identify those policies that may be particularly health promoting. This study is a starting point. By now, we all know coal’s climate change reputation: Power plants that burn it release enormous amounts of heat-trapping gases into the atmosphere. But a new report released today by the Center for Health and the Global Environment at Harvard Medical School looks deeper at the full cost of coal, following its life cycle from exploration, through transportation, processing, and burning to estimate that coal is costing the U.S. one-third to over one-half a trillion dollars annually. The report was released aboard the Arctic Sunrise at Rowe’s Wharf, Greenpeace’s chartered icebreaker. The report, being published in the Annals of the New York Academy of Sciences, notes that fully accounting for these costs would double to triple the price of electricity from coal, thus making wind, solar, and other forms of renewable energy far more competitive. I’ve posted a summary of the Harvard study here. We talk a lot on this blog about the impacts coal causes because of our addiction to using it to fuel our industrial society here in the United States. But every once in a while a story out there catches my eye that reminds of coal’s importance — and impacts — in other parts of the world. 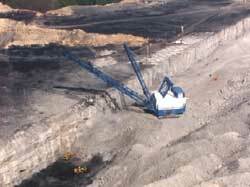 October 8, 2010 by Ken Ward Jr.
U.S. District Judge Robert C. Chambers today issued his written opinion and order in a ruling we’ve discussed before — where he ordered Patriot Coal to clean up its selenium discharges. I’ve posted a copy of the judge’s opinion and order here. Remember that this decision could have huge implications for the coal industry. October 7, 2010 by Ken Ward Jr.
A coalition of environmental groups late this morning announced the start of new legal action that alleges three Kentucky mining companies violated important provisions of the Clean Water Act. Lawyers for Appalachian Voices, Water Keeper Alliance, Kentuckians for the Commonwealth, and Kentucky Riverkeeper issued formal notices of intent to sue International Coal Group’s ICG Knott County and ICG Hazard and Trinity Coal’s Frasure Creek Mining. They allege the companies exceeded pollution discharge limits, consistently failed to conduct required monitoring of their discharges, and — in many cases — submitted false monitoring data to the state agencies charged with protecting the public. I’ve posted copies of the three notice of intent letters here, here and here. The citizen groups are represented by the environmental law clinic at the Pace University School of Law and its co-director, Robert F. Kennedy Jr., and by the Appalachian Citizens Law Center. In their news release, the groups cite more than 20,000 instances of pollution limit violations, failing to submit reports or falsifying required monitoring data. They say the violations could result in fines exceeding $740 million. The sheer number of violations we found while looking over these companies’ monitoring reports is astounding. It shows a systematic and pervasive pattern of misinformation. These companies are making a mockery of their legal responsibility under the Clean Water Act and, more troubling, their moral obligation to the people of the state of Kentucky. August 17, 2010 by Ken Ward Jr.
WYODAK, Wyo. 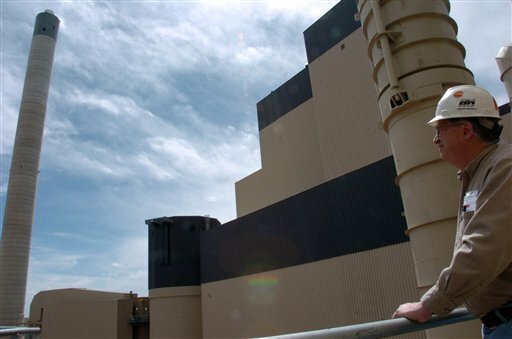 (AP) — Utilities across the country are building dozens of old-style coal plants that will cement the industry’s standing as the largest industrial source of climate-changing gases for years to come. 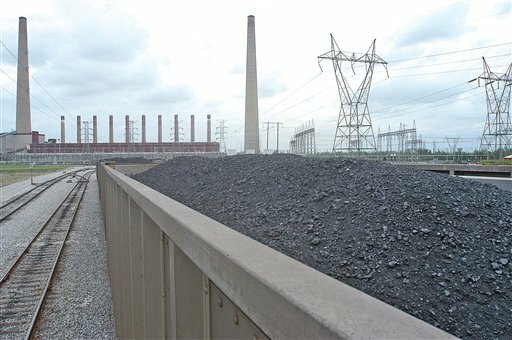 An Associated Press examination of U.S. Department of Energy records and information provided by utilities and trade groups shows that more than 30 traditional coal plants have been built since 2008 or are under construction. The construction wave stretches from Arizona to Illinois and South Carolina to Washington, and comes despite growing public wariness over the high environmental and social costs of fossil fuels, demonstrated by tragic mine disasters in West Virginia, the Gulf oil spill and wars in the Middle East. The expansion, the industry’s largest in two decades, represents an acknowledgment that highly touted “clean coal” technology is still a long ways from becoming a reality and underscores a renewed confidence among utilities that proposals to regulate carbon emissions will fail. The Senate last month scrapped the leading bill to curb carbon emissions following opposition from Republicans and coal-state Democrats. August 9, 2010 by Ken Ward Jr.
MORGANTOWN, W.Va. (AP) — A Raleigh County judge will hold a hearing later this month on a medical monitoring lawsuit claiming hundreds of children were exposed to toxic coal dust from a Massey Energy Co. processing plant and silo next to Marsh Fork Elementary School. Williamson attorney Kevin Thompson is suing Virginia-based Massey and three subsidiaries over alleged exposure from the silo that sits about 235 feet from the school near Sundial. Judge Harry L. Kirkpatrick III granted class-action status to the case in December, but it fell into limbo because his ruling went to an incorrect address and was returned to the courthouse in Beckley. Thompson said he only learned of the ruling after filing a supplemental motion with the court in June, then calling to follow up. The lawsuit, filed on behalf of Woodrow and Elva Dillon and their two children, accuses Massey and subsidiaries Goals Coal Co., AT Massey Coal Co. and Massey Coal Services Inc. of negligence and creating a public nuisance. It demands unspecified punitive damages, as well as a court-administered medical monitoring program. July 16, 2010 by Ken Ward Jr.
A new report out this week from the U.S. Environmental Protection Agency recommends major improvements in the way state regulators across Appalachia review water-pollution permit applications from the coal industry. The report, available here, documents EPA’s findings in a review of Appalachian state agency handling of Clean Water Act permits for surface coal-mining operations. — EPA could find little evidence that state regulators conduct “meaningful water quality impact assessments” when they issue water pollution authorizations through general permits. (Kentucky and Ohio use general permits). — Incredibly, state regulators generally do not assess whether actual or proposed discharges from surface mining operations have a “reasonable potential” to cause or contribute to excursions of water quality standards. — State records either do not clearly document, or provide little documentation, regarding ambient and effluent data, or data from similar mines, used to assess water quality impacts and the potential for new permits to harm water quality. — Most Appalachian states do not currently have numeric limits for conductivity, total dissolved solids and sulfates. Instead, states rely on “narrative” water quality guidelines, but generally do not implement those in a way that deals effectively with conductivity, TDS and sulfates. June 17, 2010 by Ken Ward Jr.
Orange cloud at Jacobs Ranch Coal Mine in Powder River Basin of Wyoming. Photo taken from nearby Thunder Basin National Grassland. 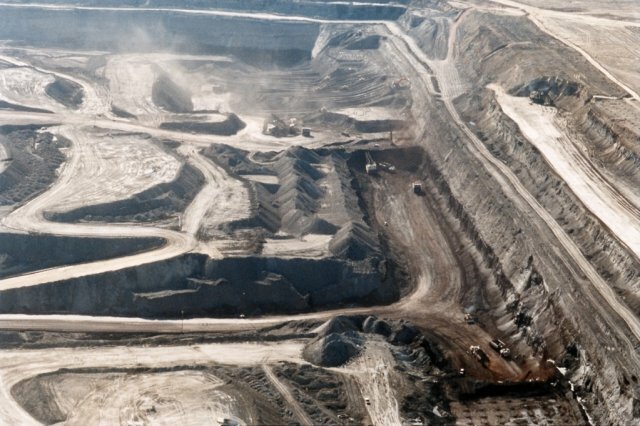 A coalition of environmental groups is calling on the U.S. Environmental Protection Agency to for the first time impose air pollution limits on coal mines. That’s right … EPA has adopted air pollution standards for gravel mines, coal-fired power plants, coal processing plants, and dozens of other sources. But currently, no national limits exist for the air pollution from coal mines. Hoping to change that, the groups WildEarth Guardians, Center for Biological Diversity, the Environmental Integrity Project and the Sierra Club filed this petition with EPA Administrator Lisa P. Jackson. The groups are represented by attorneys from Earthjustice. It’s time to finally hold coal mines accountable to our health, safety, and environment. With mines spewing methane, dust, toxic orange clouds, and other dangerous gases, we need a national response that puts clean air before coal. May 21, 2010 by Ken Ward Jr.
Yale professor debunks bogus studies on the health effects of Appalachian surface mining. Well, it turns out, not so much — the statement, which was repeated on a National Mining Association Facebook page — was so out of line that NMA officials have pulled it from the Internet, taken back, if you will. So what are we talking about? 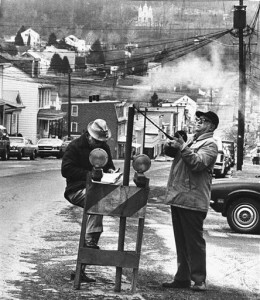 Well, Coal Tattoo readers certainly recall the work of WVU’s Hendryx, who has published a series of peer-reviewed studies that pointed to increased illnesses and premature deaths among Appalachian residents living near coal-mining operations and questioned whether the costs of those health impacts are greater than the industry’s economic benefits to the region. As you can imagine, the coal industry was none too pleased about these studies. My buddy Roger Nicholson at International Coal Group wrote an op-ed piece attempting to debunk Hendryx. The National Mining Association went a step further, hiring Yale’s Jonathan Borak to take a closer look at the Hendryx studies. I just got done reading a fascinating new paper published in the peer-reviewed journal Environmental Science and Technology. It’s a real eye-opener about the relationship between mountaintop removal coal mining and global warming. The paper, Terrestrial Carbon Disturbances from Mountaintop Mining Increases Lifecycle Emissions for Clean Coal, is available online here. A subscription is required to read the whole thing, but you can see the abstract (a summary) for free. Written by James F. Fox of the University of Kentucky and J. Elliott Campbell of the University of California, Merced, the paper leaves no doubt that, even if CCS works and is widely deployed, questions will remain about the climate change impacts of mountaintop removal. Contrary to conventional wisdom, the life-cycle emissions of coal production for MCM [Mountaintop Coal Mining] methods were found to be quite significant when considering the potential terrestrial source. In fact, this paper reports that mountaintop removal’s life-cycle carbon dioxide emissions are 17 percent greater if you include carbon dioxide from sources other than the actual burning of the coal — emissions from cutting down and burning forests, potential release of carbon previously locked up in the soils of the mountains, and from mining and transportation equipment. That’s the potential high-end of those emissions if you assume coal is burned in a conventional power plant. If the industry switches to CCS-equipped plants that capture most of the emissions from coal-burning, then these other carbon dioxide sources would actually account for nearly twice the emissions of coal burning. Notwithstanding the importance of CCS efforts to improve the imprint of coal burning on the environment, the life-cycle emissions also should be further investigated and quantified to determine their significance under coal production scenarios. In both cases, the current combustion practices and future CCS goals, the terrestrial carbon storage impacted by the disturbance of MCM is shown to be significant. It is argued here that the terrestrial carbon impact be included in the ongoing discussion of coal mining life-cycle emissions and be considered when discussing energy production and environmental sustainability.